I remember the days when I would often receive emailed hoaxes or fluffy feel good emails consisting of sappy quotes with pictures of puppies and kittens. Often these emails had already been forwarded multiple times. Before spam filters were invented these emails could also be difficult to stop without emailing the sender. Weird Al does a great job describing how annoying such emails could become. This song is not as relevant today, however, because social media and instant messaging have assumed some of the old roles of email. 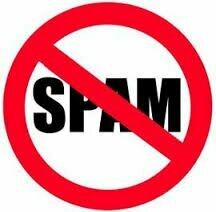 Nonetheless, we are not free of spam. 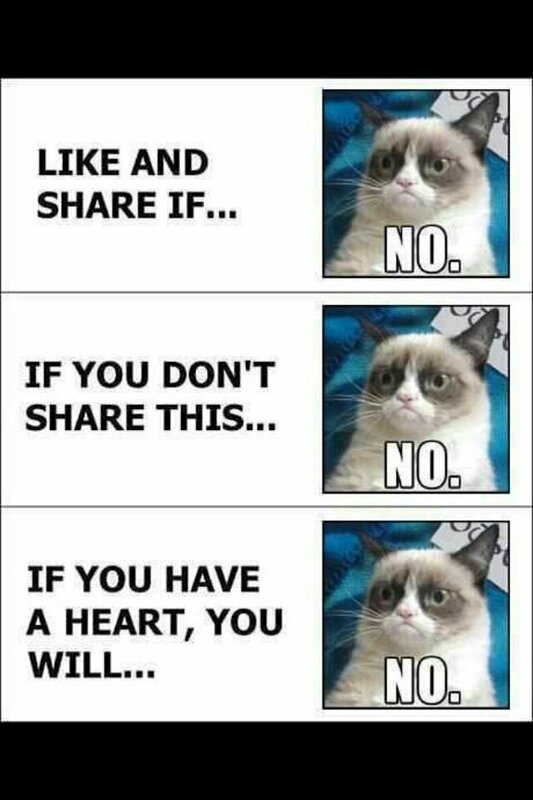 Facebook has its own form of spam and other pointless posts. People who have used Facebook for several years will remember friends sending them “gifts” – simple gif files, nothing more, but at least they were harmless. Game requests took it up another level. I cannot count the number of Farmville requests I received. Fortunately I could block them. Now the common trend is manipulative posts. These claim to test a person’s commitment to a cause or level of friendship. Like and share a post to show you believe in fighting a particular problem. Like/share/copy/comment to show that you truly are my friend. I make a point of never following those instructions, even if the person is a friend or if the post advances a cause I support. My commitment is not measured by my Facebook activity. Instead, I sometimes respond with my own post (on my timeline, not in a comment on those posts): “If you do not like and share my post then you hate puppies.” Yes it is ridiculous, but that is the point. How do you deal with these posts? Humorous responses are especially welcome (but keep them clean).